Well it’s definitely an idea only a cop could come up with, but while being surrealistic, it seems to reignite the debate on medical cannabis in a country where all drugs are already decriminalized in small amount. Obviously the Justice Minister of the Czech Republic sees in this idea an opportunity to lower costs for his ministry not to dismiss it, but the expert quoted in the original article is right about the quality of the cannabis grown in illegal operations. It’s just not grown for such purpose. Rather than seizing it, why not grow it? The junior government Czech Public Affairs (VV) party supports the idea of marijuana being legalised for for medical purposes. But while first thinking about importing cannabis from Holland, they now appear to be tempted by the cut in costs such initiative would create, not seeing any troubles in using weed from the black market to provide for patients’ treatment . Maybe this is the opportunity to think about the legislation in a different way for medical marijuana since more and more Czech state institutions and politicians support the use of hemp for medical purposes. Well even if the idea is not a safe one for patients, at least it opens the debate on medical cannabis. Let’s just hope this will lead to a new law legalising the medical use of cannabis in yet an other European country. 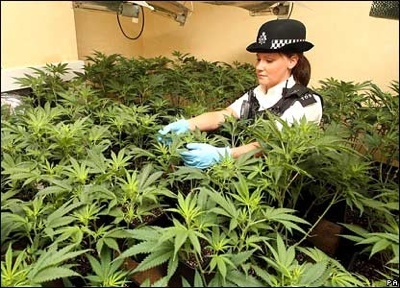 And if police wants to help, they could provide with the grow equipment from previous seizure rather than the weed itself. What Will My Grow Room Smell Like? The City Council Can Help! 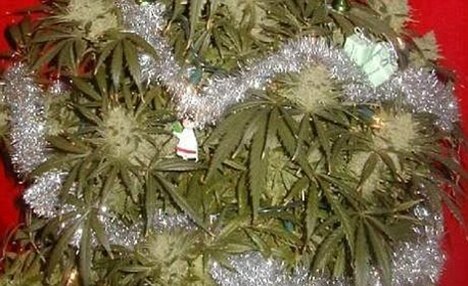 30,000 cannabis-scented cards have been distributed to residents of Den Haag and Rotterdam by their city councils. This disturbing plan aims to help people recognize the smell of grow rooms and report on their neighbours. We have very little confidence that asking people to rat on their neighbor will actually improve the standard of living in any given city. Luckily this plan is doomed from the start as the cards smell as much like weed as Magic Tree air fresheners smell like an actual pine forest. Hang it from the rear view mirror of your car. If the police ask why your car smells of marijuana, simply point at it and smile. Emergency deodorant. Rub armpits quickly while no-one is looking. Take it to a festival- your tent will smell fantastic, attract new friends, and be easy to find in the dark (it’s the one that smells like a grow room). A Mountlake Terrace police sergeant who was fired in part for alleged dishonesty has gotten his job back and an $812,500 settlement from his department, Snohomish County and the city of Lynnwood. Jonathan Wender’s battle to clear his name centered on allegations that police internal investigators and the prosecutor’s office targeted him unfairly because of his outspoken views in favor of limited decriminalization of marijuana and reforms in the nation’s war on drugs.